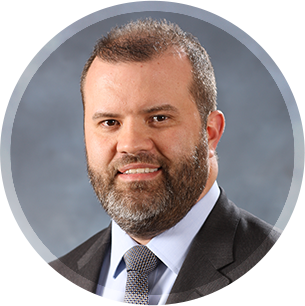 Ryan Thomas Pitts, MD, is a board-certified orthopedic surgeon with Orthopedic Associates of St. Louis, Missouri. He is one of the few surgeons in the region who has also achieved board certification in the subspecialty of sports medicine and offers outpatient total joint replacement. In addition to non-surgical therapies including injections, physical therapy, and medication, Dr. Pitts specializes in outpatient total joint replacement procedures. A same-day total joint replacement for hip, knee or shoulder can be performed using minimally invasive arthroscopy to improve a patient’s mobility, reduce pain, and limit the typical recovery period. We look forward to welcoming you to our practice. Call our appointment hotline at (314) 714-3285 or submit your appointment request online and someone will get back to you. Dr. Pitts is a board-certified orthopedic surgeon offering cutting-edge joint replacement and sports medicine in the St. Louis region. Dr. Pitts encourages patients to rate their visit online at www.healthgrades.com and www.ucomparehealthcare.com. Copyright © Dr. Ryan T. Pitts, MD, Orthopedic Associates of St. Louis. ALL RIGHTS RESERVED. At Orthopedic Associates of St. Louis, Missouri, Dr. Ryan Thomas Pitts is a board-certified orthopedic surgeon that specializes in treating sports- and work-related injuries and performing advanced procedures such as shoulder, and knee arthroscopy, as well as outpatient total joint replacement.